WAA General Membership Meetings are held at the NHC Arboretum 6206 Oleander Drive, Wilmington, NC. 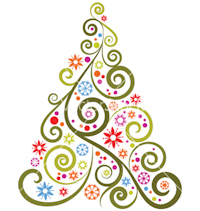 A social with refreshments will begin at 6:00 PM, followed by the business meeting at 6:30 PM and the program. The public is welcome. The First Three Meetings of 2019 are Thursday January 10, Thursday February 14, and Wednesday March 20. The WAA Holiday Dinner & Art Show was held Thursday, December 13, 2018 at Cape Fear Country Club, 1518 Country Club Road, Wilmington, NC 28403. This year we honored some special members with Lifetime Membership Awards for their huge contributions to our Association. Kay Bilisoly, member for 26 years, and John and Ann Parker, members for over 20 years were gratefully recognized for their commitment and dedication to WAA via their many roles. 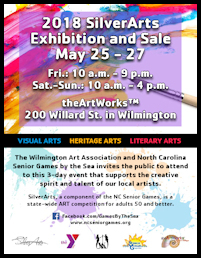 The Exhibition and Sale for Visual & Heritage Arts was held Friday, May 25 - Sunday, May 27, 2018 at the ArtWorks 200 Willard St., Wilmington, NC. Award winners qualify for the State Finals to be held in Raleigh this fall. There were four categories in Silver Arts: Visual Arts, Heritage Arts, Literary Arts and Performing Arts. The Wilmington Art Association sponsored the Visual Arts and the Heritage Arts categories. The Wilmington Art Association is pleased to have sponsored the New Hanover HS Art Competition for 2018. This year five New Hanover high schools participated in the event. The Show was held at the Hannah Block USO/Community Arts Center located at 120 South Second Street and Orange Street in Historic Downtown Wilmington NC. 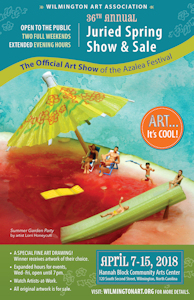 The 36th Annual Juried Spring Show and Sale, the Official Art Show for the Annual Azalea Festival, opened Saturday, April 7, 2018 at 10:00 at the Hannah Block Community Arts Center. The show represented the work of more than 150 regional artists with over 290 pieces of 2-D, 3-D, and photography fine art. The WAA was delighted that Janette K. Hopper, active painter, print maker and performance artist, was the Juror/Judge for Show. WAA is pleased to have Donald Furst, professor of Art at UNCW, as the March 8 speaker for the General Meeting. Furst also operates Ars Longa Press, an Atelier specializing in mezzotint, etching, and lithograpy. Often his works represent a theme of climbing, represented by their views of steps and ladders in architectural settings. The mood intended can be summarized in the artist's statement: "There is mystery in the mundane." 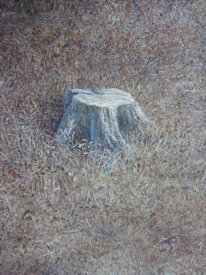 He will present Furst Egg Tempera Workshop – “The Egg and I”. 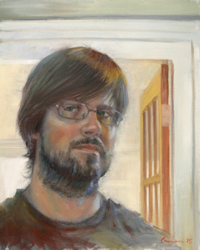 David Clemen is a skilled Artist and Illustrator in Wilmington, NC. 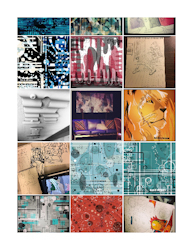 David’s art utilizes traditional artist’s mediums, but uniquely his creativity is expressed through light, using digital formats. Working with his iPad Pro, David can very quickly develop conceptual images or patiently enhance infinite detail in an image. The possibilities for new art expressions are limitless. 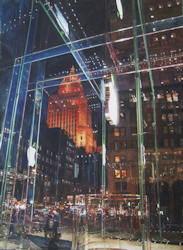 The Wilmington Art Association is thrilled to have David Clemen present this exciting medium at our January 11th meeting.